There has been a lot of controversy when it comes to using plastic water bottles. Because so many people drink from plastic water bottles on a daily basis it is important to understand how to use them safely. Many people wonder whether it is okay or safe to refill their plastic water bottle because of the studies done on BPA, otherwise known as Bisphenol A, leaching out. Despite many studies being conducted on the safety of plastic, researchers have still drawn differing conclusions. The FDA has noted that reusing and refilling your plastic water bottle is completely safe and they have independent research that backs up their claims. Other research notes that exposure to BPA can negatively impact fetuses as well as infants. As more research continues to be conducted, clearer answers regarding plastic use and reuse will become evident. If you are going to refill your water bottle, consider doing so only a few times and avoid repeated exposure to extreme temperatures of heat if you are concerned about chemical leaching. Because plastic water bottles can leach BPA, refrain from adding hot liquids or washing with scalding water. Doing so can cause BPA to leak at higher rates. In a study of 16 different plastic water bottle brands, all of them leached potentially harmful chemicals. These bottles were kept at 160 degrees Fahrenheit for four weeks. However, all the brands but one were below the EPA regulation for BPA. Prior to drinking from a newly purchased water bottle, be sure to inspect that the seal beneath the cap is secure and not broken. If it looks like your plastic water bottle has been tampered with, you can report it to the store manager, FDA, or police department. Even though food and beverage tampering is not overly common, it is still something to be aware of when making a consumable purchase. Water bottle caps as well as the seal can pose a choking hazard to young children. Choking is the fourth cause of death for children under five years old. 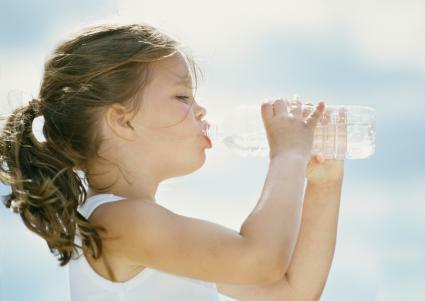 To keep children safe, always monitor them when they are using a plastic water bottle. Never allow them to play with the cap or seal even if they are being watched. To stay on the safe side, hold the cap while they drink from the water bottle and then remove the bottle when they are finished using it. Always dispose of the cap appropriately if it becomes damaged and you are unable to reseal the bottle. Consumers may also be concerned about reusing plastic water bottles that state they are intended for single use. According to Plastincsinfo.org., the reason for this laebing is beacuse of "economic and cultural reasons," not because of safety reasons. According to the Centre for Food Safety, single use plastics can typically be reused - although they state: "with all plastic types, migration increases with temperature and time of contact." The leaching, however, is still below the recommended health regulations. If you intend to use your plastic water bottle more than once, the PET Resin Association says to properly clean it by hand washing with hot (not scalding) soapy water. Rinse and air dry your water bottle prior to using it again. Do not put your plastic water bottle in the dishwasher as they are not designed to be dishwasher safe. Correctly cleaning the bottle will prevent bacterial growth. If you are using a reusable sport or other water bottle, follow the cleaning instructions that came with your product (some are dishwasher safe). If you do choose to use a plastic water bottle, keep these additional tips in mind. 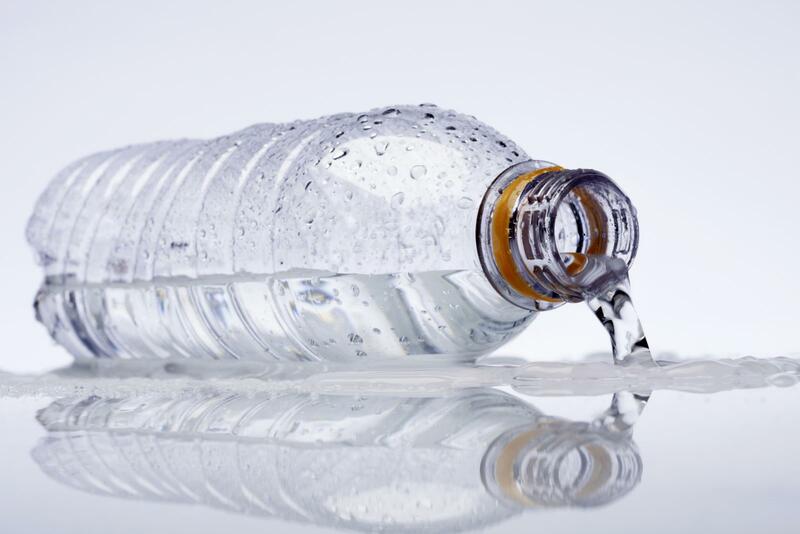 Don't reuse bottles that have scratches as these can trap bacteria. Although freezing your water bottle is safe, doing so can deform the bottle and may lead to a higher likelihood of things like scratches that can trap bacteria, so it's best not to reuse water bottles after they have been frozen. Use your plastic water bottle for water only as other liquids can degrade the plastic more quickly. BPA free plastic can still leach chemicals, so opt for stainless steel or glass reusable cups and mugs when possible. Most disposable plastic water bottles are made from polyethylene terephthalate (PET), which is labeled 1, or high-density polyethylene (HDPE), which is labeled 2. Both are considered safe. Recycle your water bottle when you are finished using it. Staying up to date with current research and knowing what your water bottle is made out of can help keep you in the loop when it comes to water bottle safety. If you are planning on reusing a water bottle, consider purchasing a reusable one made from porcelain, glass, or stainless steel. Keep in mind that reusing a water bottle is better for the environment than recycling a disposable one.